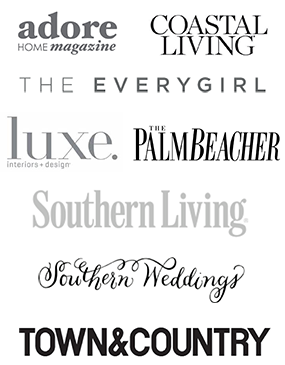 Pioneer Linens is one of our favorite home and linen stores in West Palm Beach. 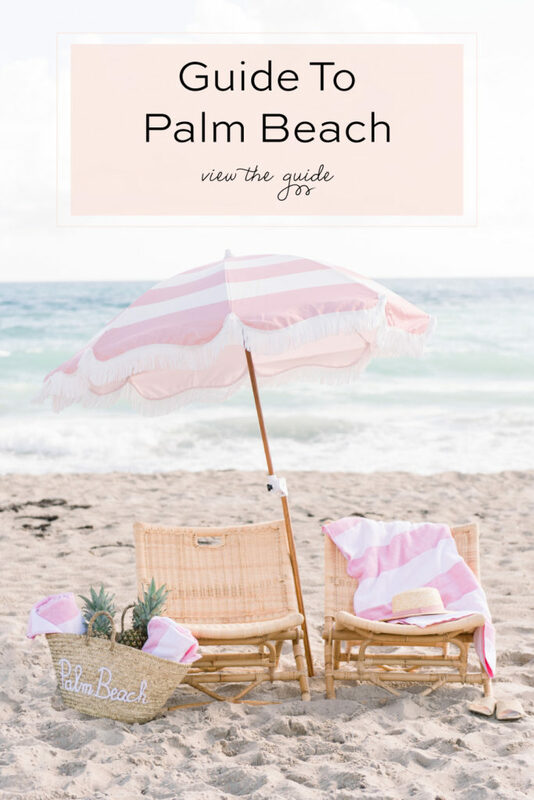 We wanted to highlight some of their Palm Beach-related products that are available online, not just for the lucky locals like us who can frequent the store. Our Holiday Gift Guide for Her features some of our favorite coastal finds in blue, coral and white hues. Fun fact: this local gem has been family-owned and operated since 1912. How special is that?! Blue Starfish Pajama Short Set – What woman doesn’t love a comfy and stylish pair of pajamas?! These 100% cotton coastal and cozy pajamas make a great gift. Fouta Ethnic Jacquard Towel – A thoughtful gift for the boho chic lady in your life that can be used as a bath towel, beach towel, wrap or a bohemian touch in the home. It is available in 5 colors and is under $100! 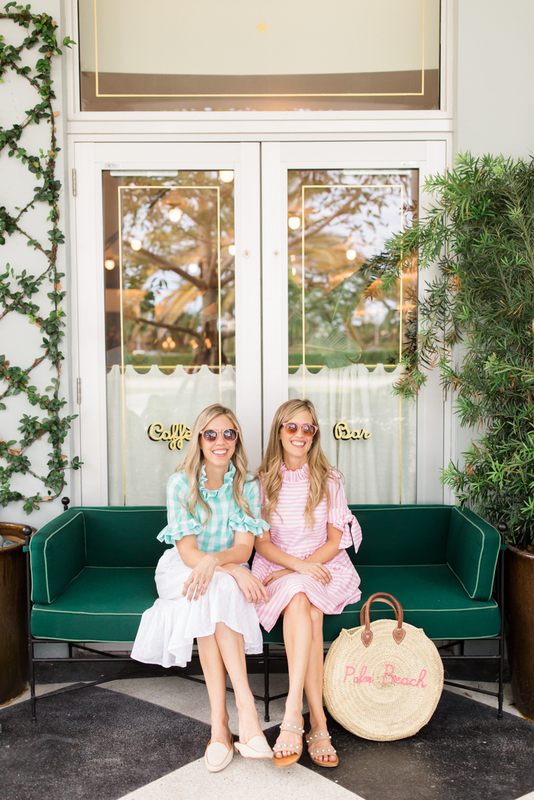 Hamptons Entertaining Book – Created by Palm Beach local Annie Faulk, this coffee table book is full of delicious recipes and stunning photography. 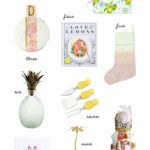 A fitting gift for the stylish hostess who loves to entertain and cook. Zebra Cocktail Napkins – We love Austin Morgan’s cocktail napkins that are a fun, play on words. They are the perfect addition to your bar cart or hostess gift. Budoir Sham– This elegantly embroidered Boudoir Sham will brighten up any room. Pineapple Jar – These pineapple jars are a fun way to add a tropical twist to your holiday tablescape or décor. Pineapples are very popular this year and a unique hostess gift to fill with a candle or sweet treat. Flamingo Vanity Set – For the flamingo lover, this vanity set is a great gift to add to the guest or master bathroom! Flamingo Beach Towel –We can’t get enough of this flamingo towel! 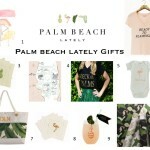 Under $100 and a fitting gift for anyone who loves flamingos and the pool or beach! 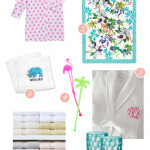 Flamingo Tip Towel – A stylish hostess gift and a fun and flirty addition to any guest bathroom. Herringbone Throws – One can never have too many cozy throws! These Brahms Mounts Herringbone throws will add the perfect punch of color and are soft and luxurious yet practical. Aqua Nautilus Towel – Bring the seaside to your kitchen or a nautical lover’s with these hand block printed Egyptian cotton kitchen towels. They are the perfect pop of color for any kitchen.